This means that along with all the other members of staff I get to train every week day at 3pm for an hour. This is when we all train, it is part of the mandate of working at these gyms. Martin insists that his staff all have to “look the part” and live the part. Lets face it there is nothing worse than going along to a fitness class only to find that the instructor is over weight and unfit! 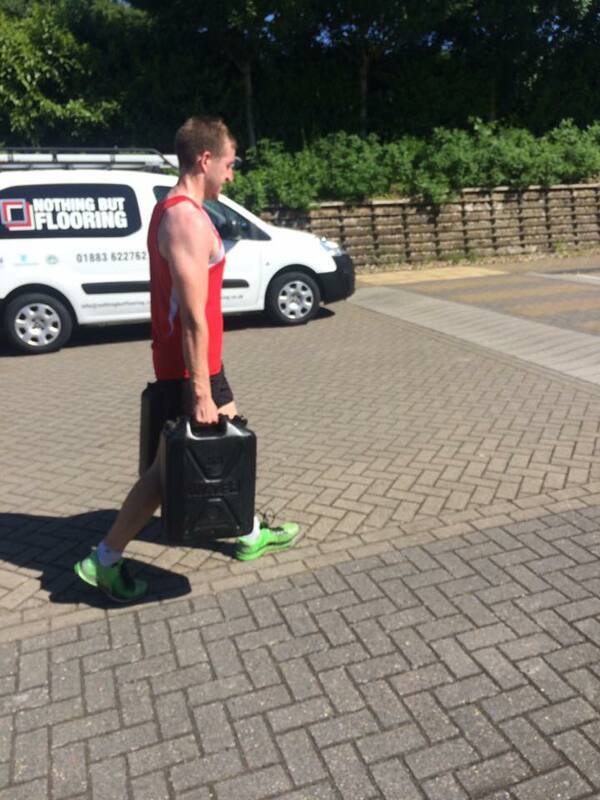 ALL of our personal trainers are fit for purpose. During the week if you pass by Dynamo Training in South Croydon you may very well see motivated people doing some diverse physical training! During the week I do not suffer lack of motivation because training is part of my daily routine but the weekend is SO different! I have goals. I have had one particular goal for 6 years! I am failing at reaching this goal because I undo all of the hard work I do during the week at the weekend and also because my body has got used to my 1 hour daily workout. I know that I need to eat better and do some exercise at the weekend BUT….. It’s the weekend!?!? SO in October I signed up to do a 8 week kick start fat loss nutrition programme with Louise our nutrition adviser. I absolutely loved it! I have learned so much and lost over 4KG. I have carried on with the nutrition again once Christmas was over and I am sticking to it and feeling so good, however my motivation to train at weekends has been lacking. I used to live in Hastings and have a friend that still lives there. 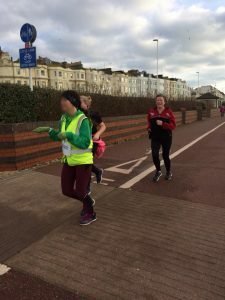 We were struggling to schedule time for a get together and then I saw on Facebook that she had taken up running and had completed her first park run! Brilliant! I had a crazy idea! I text my friend Trudie about my crazy idea. “How about I drive down to you, we run the park run together and then go for breakfast?”. Ok she says if your sure? “. the next couple of days I feel pumped thinking what a great idea I had. Then it starts raining and raining and raining. We have a couple of storms and cold spells. 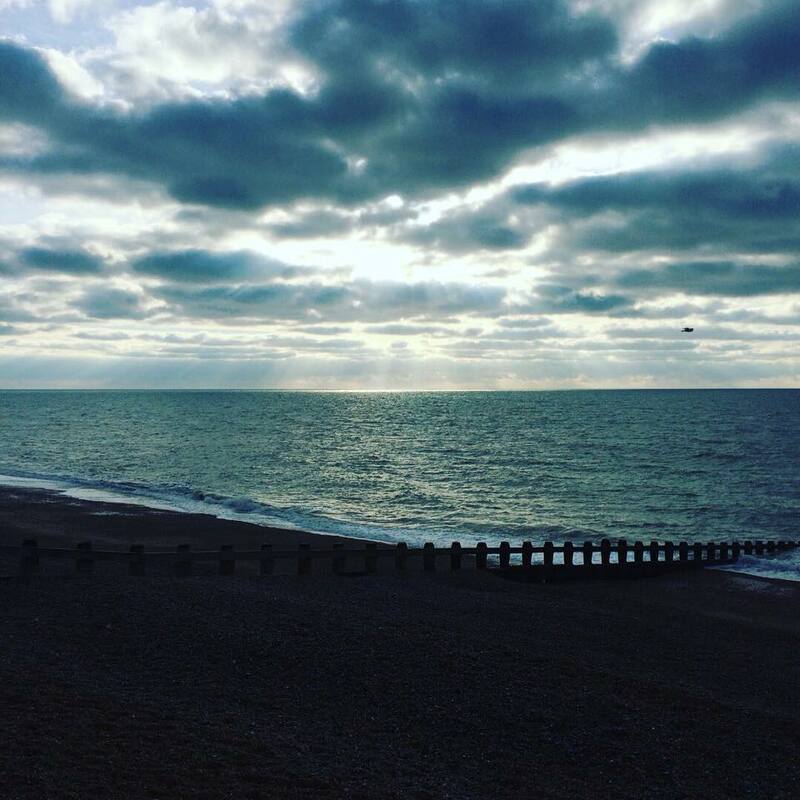 Reality dawns…..
Hastings park run is NOT held in the park (go figure) it is held on Hastings seafront. I start thinking “Why did I agree to this?” (it was my idea). I start thinking hopefully Trudie will drop out! Maybe i will fall down a hole?! It will be so windy! I will have to get up early on a Saturday! I hate running!…………. I leave it until Friday afternoon to text Trudie. She quickly replies that yes she is still up for it! SH*T!! Now I have to do it because it was MY idea and I said I would. So sat morning I get up at 6am, get ready, walk the dog and at 7.30am set off on the 40 minute drive to Hastings (after scarping the ice off the car). 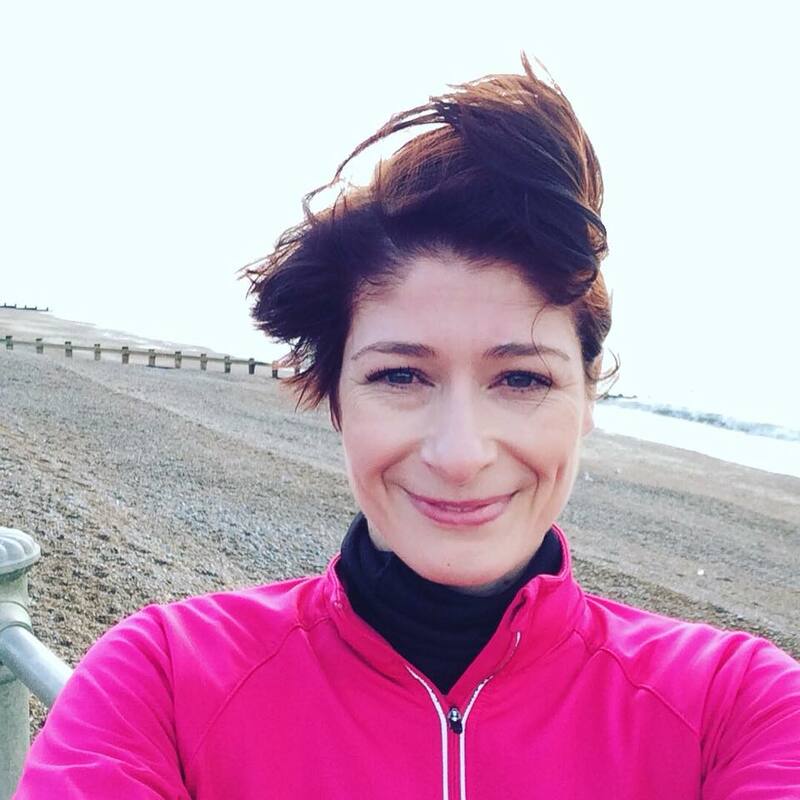 I rock up to Trudie’s, we get in her car and happily drive to the seafront, meet her friend and at 9am we along with over 300 people start the Hastings 5k park run. I run my own race and leave Trudie to run with her new running partner. I annoyingly have worn a million clothes and it’s not that cold and the sun came out. It was stunning!!! I finished the park run in 29:02 minutes. I did’t break any records but I did it! I waited for Trudie and cheered her on as she finished. We all felt fantastic. We then went for a delicious breakfast and catch up. If I had not come up with this idea then I would have 100% been still in bed. Motivation comes when you least expect it. I was motivated to see Trudie and I was motivated to do some form of exercise, plus I love breakfast! What can you use as motivation to get going? 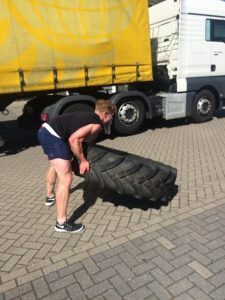 If you are lacking motivation and need a personal trainer then get in touch. We hear the same story every year. People say they ‘want to be fit’ but fail as #DryJanuary comes to an end. So, this year, make that change! You’ve tried getting fit before but from one excuse to the next you have failed to achieve your goals. This is where we step in. No sugar coating, it will be hard! In exchange for your promised commitment Dynamo Boxing will give you a programme to succeed. We’re talking goal specific activity. 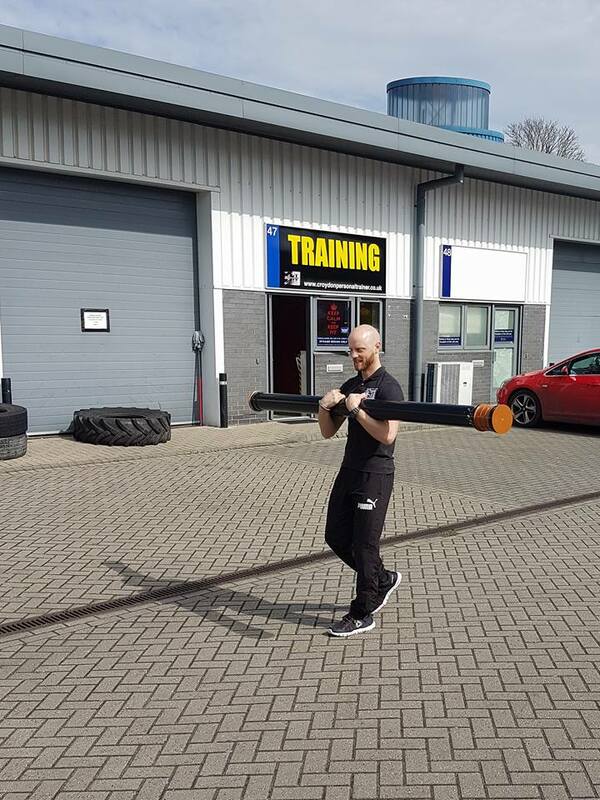 As one of the most highly respected personal trainers in Croydon, we’ll motivate you, offer nutritional advice and you’ll have our support to achieve the goals we set for you. Our business is all about results and to get those results we will push you to step up your training gear with our intense, motivational plan. 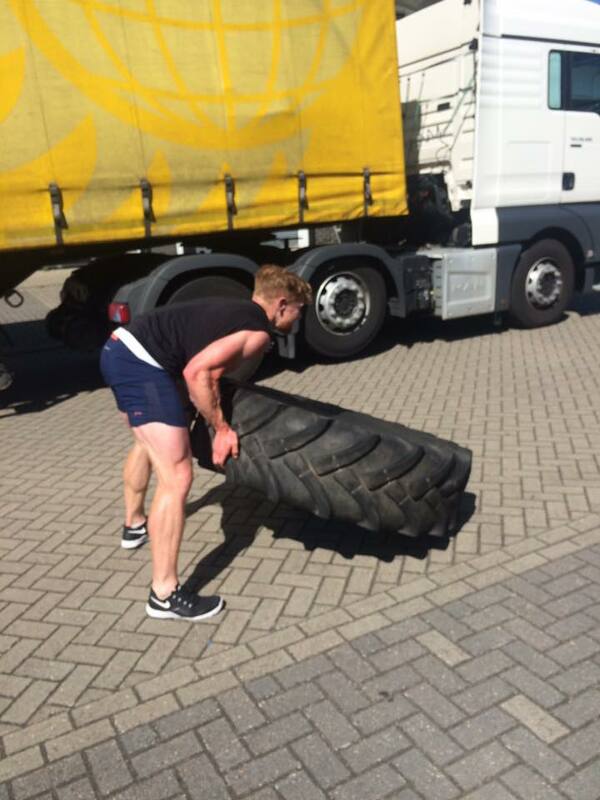 Sessions are varied and include army style drills and reaction tests, through to flipping mammoth tractor wheels. You’ve seen these things on TV, you’ve always imagined doing it, so make 2018 the year you do! If you’re serious about fitness, contact us today.